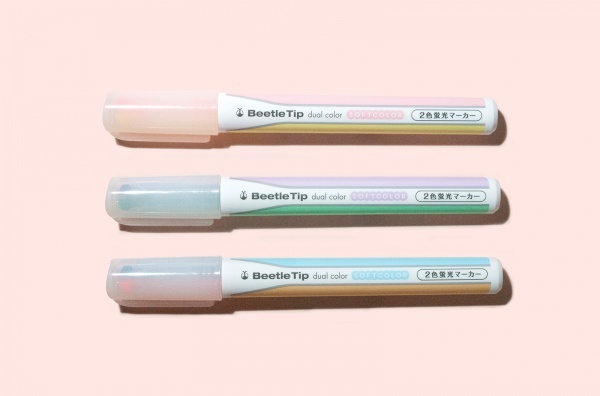 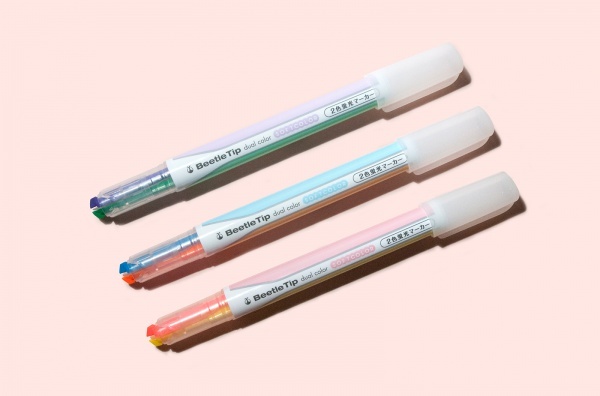 The highlighter has 2 penpoints of 2 colors which save you a lot of time. 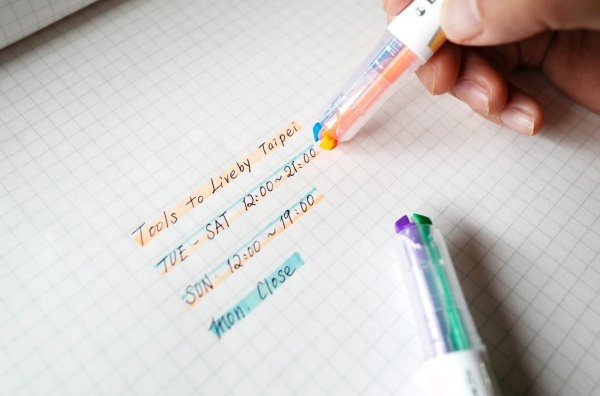 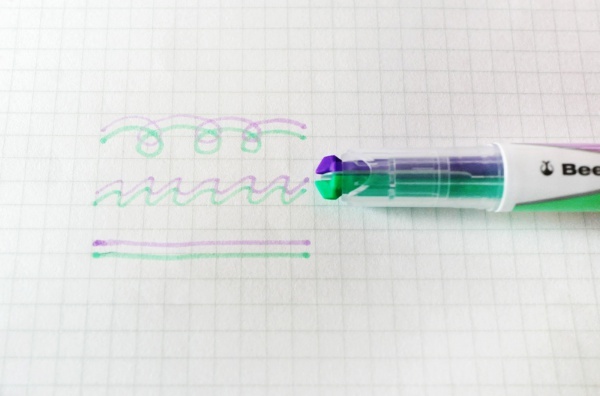 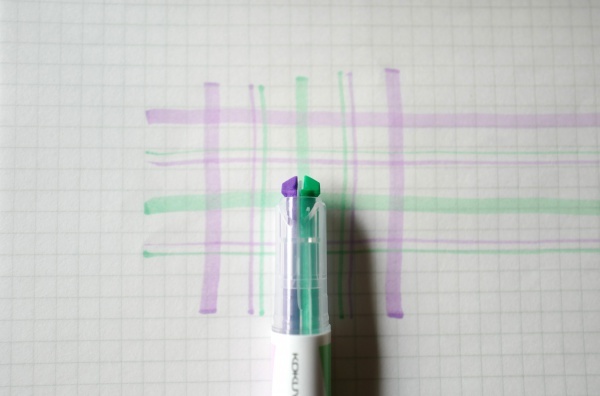 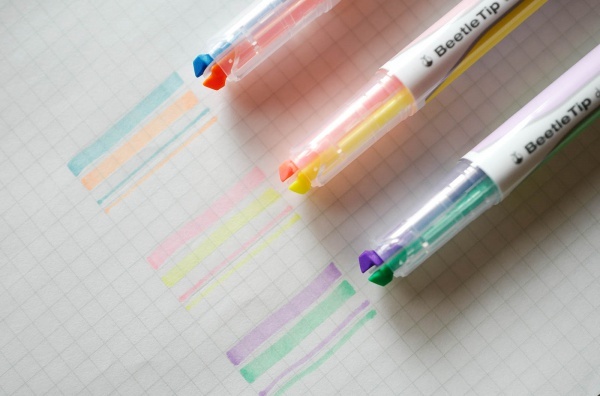 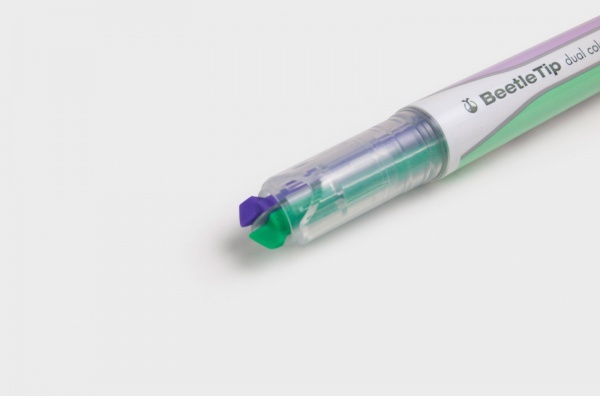 Users do not need to change the pen to draw 2 colors, and the highlighter also saves some space. 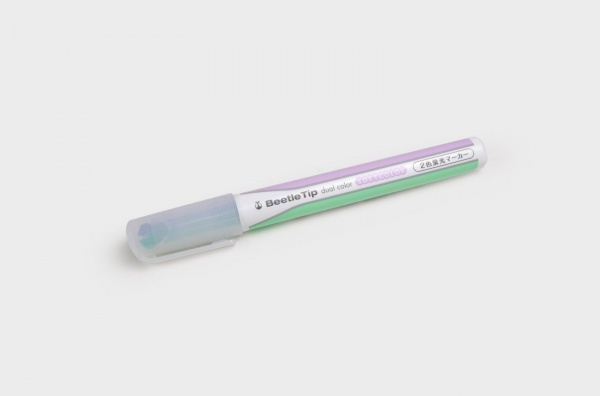 The water-based ink is soft but clear, and it will not appear on the back of the paper. 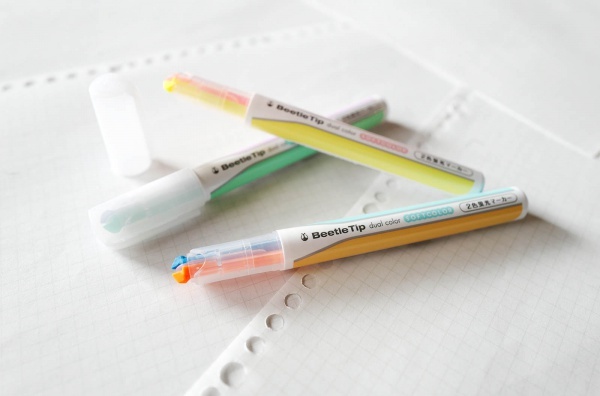 It is indeed a useful and handy writing instrument.